New Labor Leader, Bill Shorten names Tanya Plibersek as deputy leader. In case you missed it, the Labor Party leadership ballot has been and gone, with Bill Shorten being elected the new Labor leader of the opposition. Today, former Health minister in the Rudd Government, Tanya Plibersek has been appointed as Shorten’s deputy leader. Penny Wong has also been elected as the leader of the leader of the senate, a position she briefly held in Rudd’s government. Although Plibersek and Wong have scored top jobs, there are fears that women may miss out in Shorten’s front bench positions. Also in Politics: Governor-General Quentin Bryce offered to resign. Upon Shorten’s election as the new leader of the Labor party, Governor-General, Quentin Bryce approached Prime Minister Tony Abbott, offering her resignation. 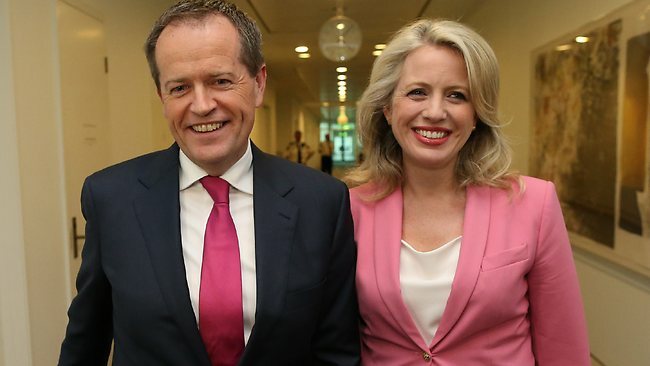 Her Excellency did so because it just so happens that Shorten is married to Bryce’s daughter Chloe, and his appointment as opposition leader may prove a conflict of interest, what with him being her son-in-law and all. However, as she is due to retire in March 2014, Bryce will continue to serve as Governor-General until then. I’m going to miss her pink twinsets. Malala Yousafzai wants to be Prime Minister one day. If you’re in need of a feminist-hell-yeah to kickstart your week, guess what? Malala Yousafzai is running for Prime Minister of Pakistan!! LolJK, but she’d really like to one day. Although she didn’t win the Nobel Peace Prize (but thankfully, neither did Vladimir Putin), Malala is not discouraged, expressing her career aspirations in an interview with CNN: ‘I want to become a Prime Minister of Pakistan, and I think it’s really good. Because through politics I can serve my whole country. I can be the doctor of the whole country, and I can help children to get education, to go school.’ I think it’s really good, too, Malala. New report finds that Indigenous Australians ‘face disproportionate harm’ from climate change. A leaked report from the Intergovernmental Panel on Climate Change, due to be released next March, has warned that Indigenous Australians face disproportionate harm from climate change. The report warns that there is ‘high agreement’ among scientists that aboriginal people will face increased risks from heat wave related deaths, extreme weather events and heightened risks of water and food-borne disease. This entry was posted in News and tagged aboriginal issues, Bill Shorten, climate change, feminism, Labor Party, Malala Yousafzai, News, politics, Tanya Plibersek, world. Bookmark the permalink.